Planners have all heard the word “placemaking.” This term is often used in presentations, master plans and marketing pitches for development projects. 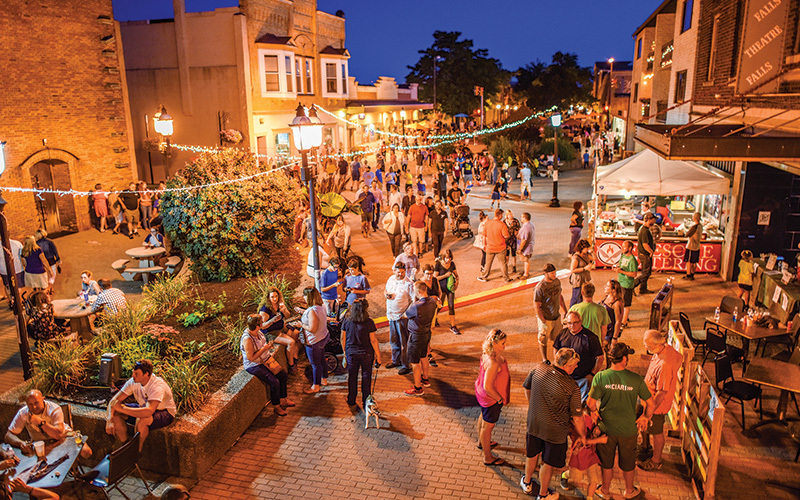 The Montgomery County Planning and Parks Departments have invited several experts over the past year to discuss the potential of placemaking as a tool to improve, transform and celebrate local communities and cultures. Everybody seems to be talking about it as a good thing for our county. But what does true, community-led placemaking look like? And how can communities actually DO placemaking? 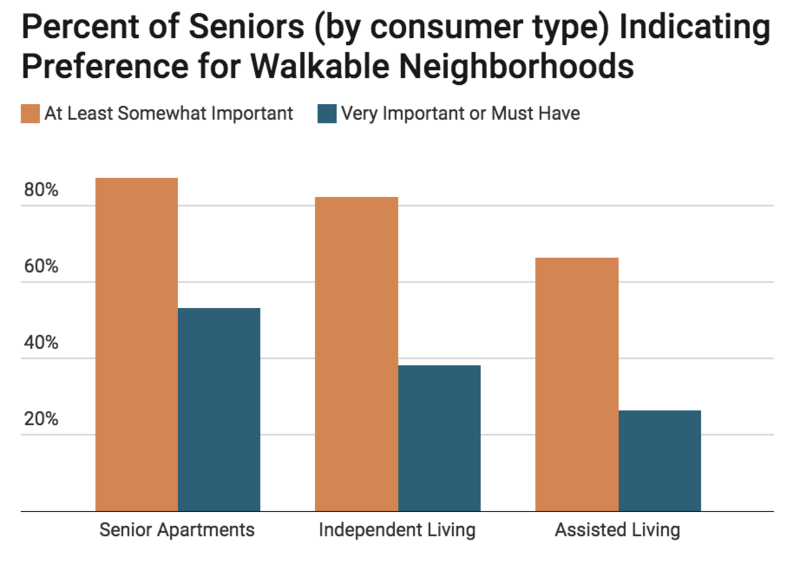 Both businesses and residents in Montgomery County increasingly show a preference for walkable, compact neighborhoods with a mix of uses. This kind of development is commonly described as “urban” in form, but its underlying design principles can be applied at lower densities and at smaller scale in suburban settings. In the previous post I made the case that we need private infrastructure in the form of housing and office buildings for the same reasons we need public infrastructure such as roads, transit, schools, and water and sewer pipes. In particular, if we don’t have enough housing, workers will continue bidding up the cost of existing residences until only the very affluent will be able to afford decent housing in convenient locations. 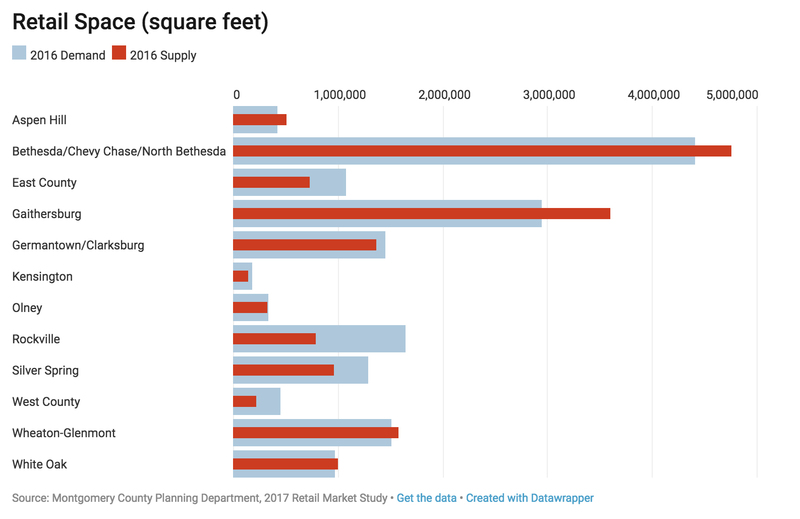 Lower-income residents will either be priced out entirely or face crowded, substandard housing conditions in remote locations with long and difficult commutes. 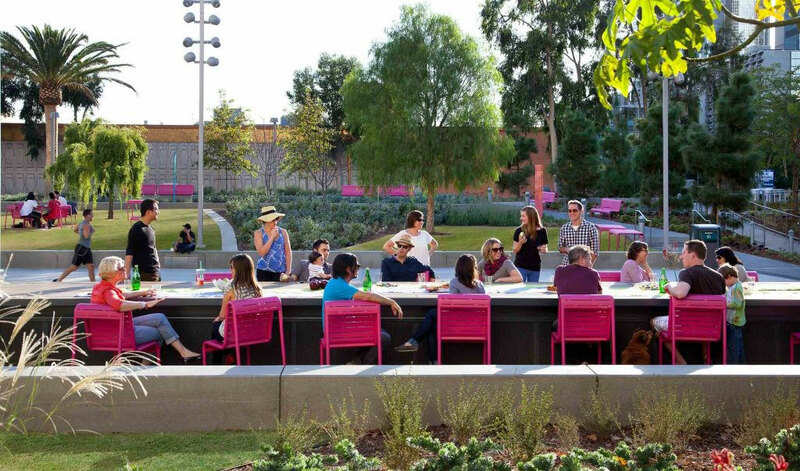 Grand Park – known simply as the “pink park” – is a 12-acre urban oasis in the heart of downtown Los Angeles. The park reopened in 2012, transforming a dreary government plaza into a spectacular community centerpiece. In a bustling urban setting where the park offers much-needed relief, color plays a key role in defining its identity and providing lessons for planners and designers of public spaces in Montgomery County. In the previous two posts, I argued that we have a serious shortfall in the supply of new housing at every price level and that this drives up housing costs. 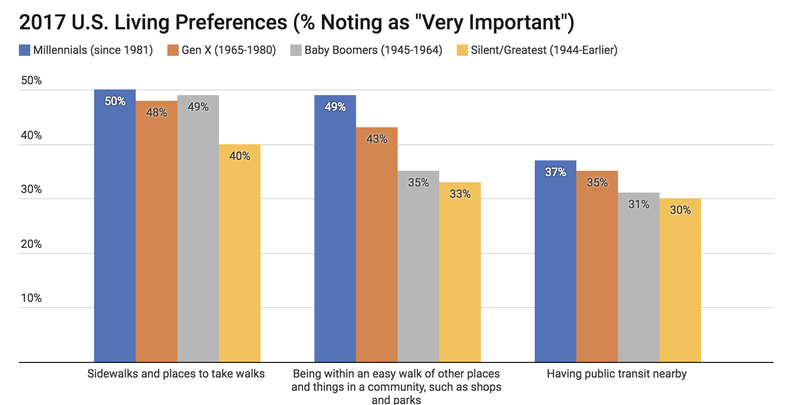 Now I’ll take a look at retail and office space to try to offer some perspective on what’s going on in the market for commercial real estate and what it says about consumer preferences, our economic well-being, and what we can do to adapt to attract and retain employers and their employees in the future. In earlier posts, I outlined where Montgomery County stands in terms of jobs and wages, discussed the related issue of income inequality and pointed out that the older segment of our population is going to grow disproportionately to other age groups over the next two decades. 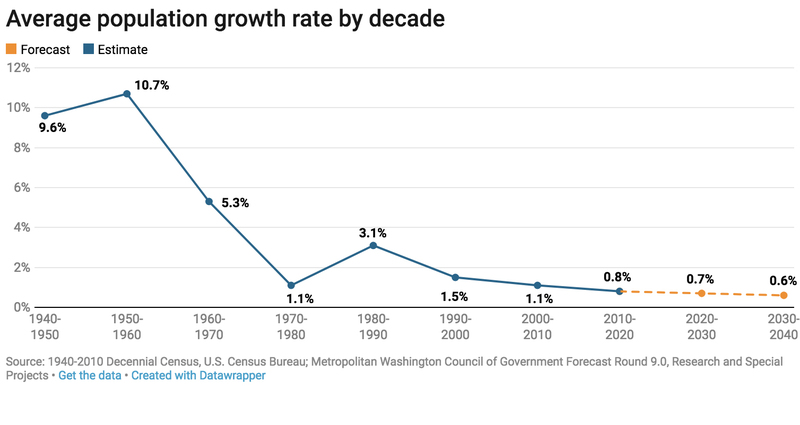 Now let’s assess the past and future rate of population growth, job openings and housing construction, and the relationship of these factors to lagging wage growth in contributing to one of most significant economic challenges: a shortage of affordable housing. 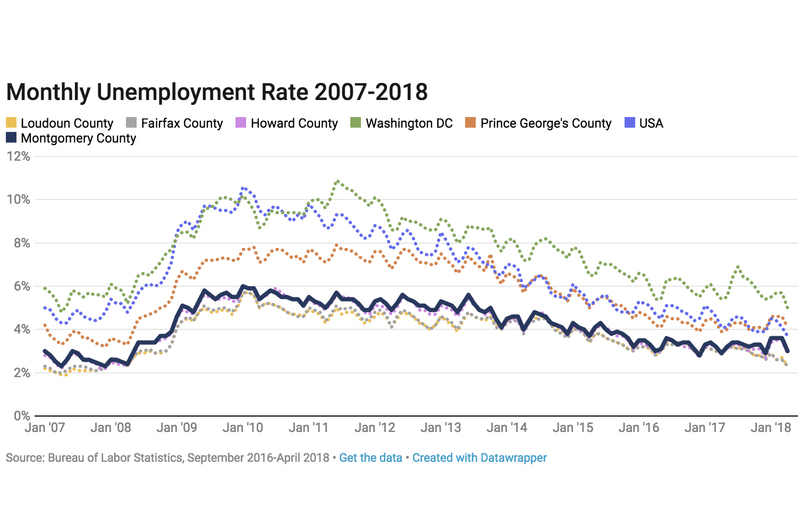 In the last post I explained why I think Montgomery County is in pretty good shape (at least for the moment) on the economic measures that matter most – jobs and wages. But serious challenges to our ability to maintain and improve our quality of life are already apparent and I’m concerned about our future competitiveness. 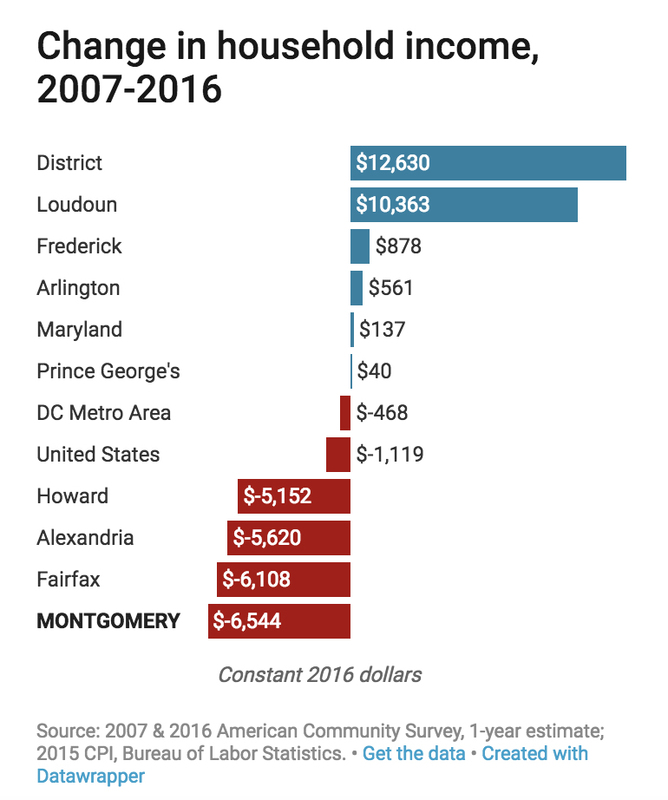 The debate over the future of Montgomery County – what kind of place we are, what kind of place we want to be and how we can pay to maintain our quality of life –has taken on a healthy sense of urgency during this election season. But I’m not sure that the public debate over these issues has provided a clear picture of our economic strengths and weaknesses, and – more importantly – where we need to focus our efforts to bolster our economic competitiveness.